With over 50 years' construction industry experience between them, Directors Mark Farrell and Paul Street (MCIOB), joined forces in 2013, to establish Suffolk Construction Partners Limited - to be able to offer clients all aspects of general building contracting on all manner of projects - from concept design, planning approval, right through to completion of the build. The company's aim is to complete every building project safely, efficiently and to an extremely high standard of quality. 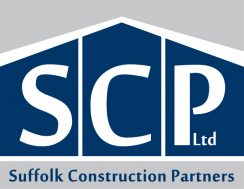 Suffolk Construction Partners Limited can offer their clients ,both private and commercial, a wide range of construction and building services including larger construction projects such as New-Builds, Extensions, Renovations and Conversions to smaller works including Oak-Framed Outbuildings, Hard Landscaping and Fencing. Suffolk Construction Partners Limited are able to show numerous examples of previous work undertaken and provide testimonials from their many satisfied and repeat clients. Please contact us to discuss your individual building project requirements, large or small - we welcome all enquiries. We are more than happy to provide free, no obligation, formal quotations for all of our enquiries, including competetive tenders from building design practices.